Our Moose Supply Multi-Purpose Camo Poly Tarps are a standard grade, ultra-versatile tarp that is great for just about any job you throw at them. Whether it's protecting your possessions from the elements, creating a temporary camping shelter, for use as a ground cover on concrete, a surface protector when painting or as a car/truck/boat/motorcycle cover ... there really just isn't any task that these tarps are not equipped to handle. These poly tarps are constructed with a strong 10x10 fabric weave and 6 mil thickness. These camo tarps come with rust-resistant metal grommets approximately every 3 feet for tying down and securing the tarp, as well as plastic bar reinforced corners for added strength and durability. With 3 layers of heavy-duty woven and laminated polyethylene, heat-sealed seams and rope reinforced hems, these aren't the type of tarp covers that are going to fall apart quickly, but tarps that you are going to be used for years to come. These camo tarps come with rust-resistant metal grommets approximately every 3 feet for tying down and securing the tarp, as well as plastic bar reinforced corners for added strength and durability. These Moose Supply Camo Poly tarps are made for all-weather usage because they are water resistant, as well as laminated to resist mildew and tears. They also feature arctic flexibility, meaning that they are going to stand up to even the coldest of conditions. Moose Supply Outdoor Camo Poly Tarp Covers are great for temporary tarp covers, hunting sites or short-term camping canopy solutions, agriculture needs, landscaping and as roofing covers. 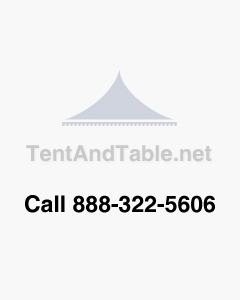 They are also ideal for canopy and awning covers, hunting roof camouflage, and trailer covers. Disclaimer: All of the tarp sizes are "Cut Sizes" - the industry standard. The "Finished Size" is usually 6" shorter on each side. For example, a 8' x 10' tarp has a Finished Size of 7' 6" x 9' 6."